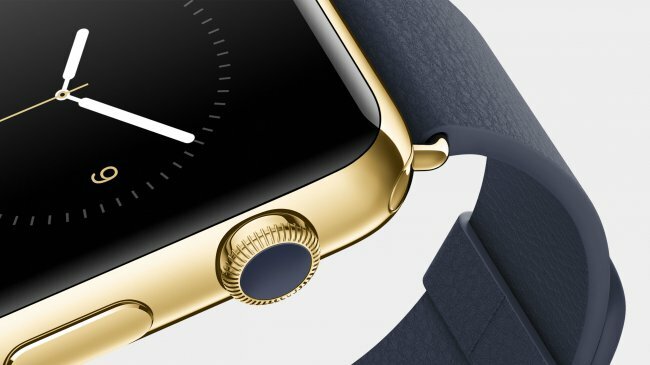 What, in your opinion, the main drawback of the Apple Watch? Some of you probably called as such, very limited functionality. Others will note the extreme degree of futility wearable gadget together with unreasonably high price. And, of course, each of you is right, only the main claim to the “smart” clock uncertainty with the cycles to update them. Let us examine this postulate more improvised. As you know, the most updated and therefore the best-selling device in consumer electronics is the smartphone. Not any particular one, and the smartphone as a kind of abstract category. Every manufacturer thinks his duty is sure to produce the most productive, beautiful and long lasting gadget. Interestingly, consumers are supporting them in this endeavor, voting ruble, us dollar or Renminbi in favor of one or another product of the Corporation. Every year, millions of consumers are buying an absolutely incomprehensible number of smartphones, a year later do it all over again. Much less popular, and therefore less subjected to frequent updates is a tablet computer. Generally, most owners of tablets prefer to equate this mobile device with a large touch screen lap – and desktops, buying a new model every 2-3 years. Against the wishes of the manufacturers, the market has dictated its own requirements for the industry, “jump” which could not even the guys from Apple. But to correct the situation with a still declining at a catastrophic rate iPad couldn’t even 12.9-inch iPad Pro, the output of which, undoubtedly, marked a milestone for the tablet market. Third place by the frequency of updates we can safely award the computers that many of us change only when they either expire or become obsolete so that it is difficult to “pull” even the native browser. Of course, this description applies to corporate clients and people whose profession places high demands on desktop desktop tool. But, you see, nobody buys a new PC or Mac every year. So we very slowly and gently came up – as they say in “the Internet” — the subject of this article. Apple Watch. Being a relatively “smart” Apple Watch to remain for hours, whether you like it or not. Higher functionality in comparison with the good old “mechanics” or “quartz” does not make them a gadget from another category. At least for now, especially as Apple itself has positioned them as a clock. But watch (sorry for the increased use of the word) have longevity and loyal service to its owner for many years. Known cases when one model passed from generation to generation. Will you give Apple Watch to their children? Maybe teenagers, but not next, because, apparently, the new generation of wearable gadget from Cupertino will be available in early next year. And so on increasing. It is unknown what innovations can boast of a novelty for future years, but it is unlikely they will force you to pay attention to someone other than the true tehnogikov. The only option to maintain sales of the Apple Watch – to use a familiar in the West, the idea of replacing the devices of past generations to new with a small surcharge. So to speak, the subscription for annual updates. Otherwise, the project can slowly but surely come to its end, never gained mass popularity. But how to be with Russian clients, for whom the terms “contract” and “trade-up” is familiar only by hearsay? The answer to this question personally I do not. Share your thoughts in the comments. Help Apple power of public opinion! Thunderbolt Display worth the money?